Darko Bandic, APA voter casts a ballot at a polling station in Pula, western Croatia, Sunday Dec. 1, 2013. 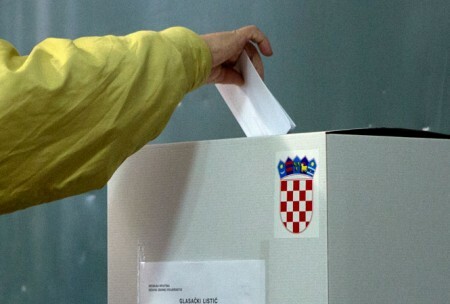 A voter casts a ballot at a polling station in Pula, western Croatia, Sunday Dec. 1, 2013. The state electoral commission, citing initial results, said 65 percent of those who voted answered “yes” to the referendum question: “Do you agree that marriage is matrimony between a man and a woman?” About 34 percent voted against.